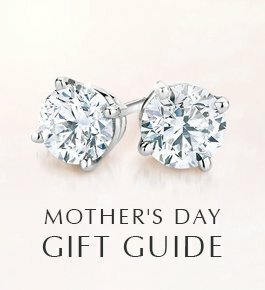 There are many established traditions that surround the purchase of an engagement ring. 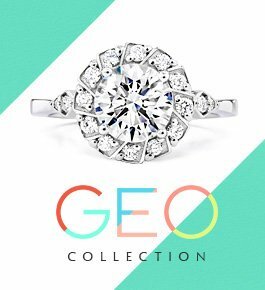 While many of us envision that quintessential round diamond solitaire perched atop a platinum setting, plenty of couples today opt for something more distinctive that reflects their personal style. 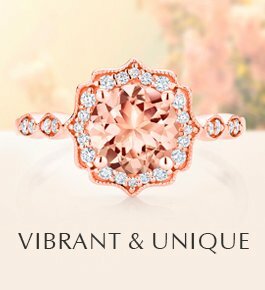 In the past few years, trends such as eye-catching colored gemstones and fancy shaped diamonds have all emerged stronger than ever. 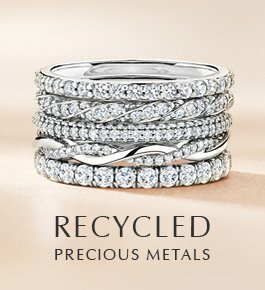 We took a look at engagement ring trends from the past year and discovered some interesting consumer behavior trends. Check out the graphics below depicting some of our most noteworthy findings. 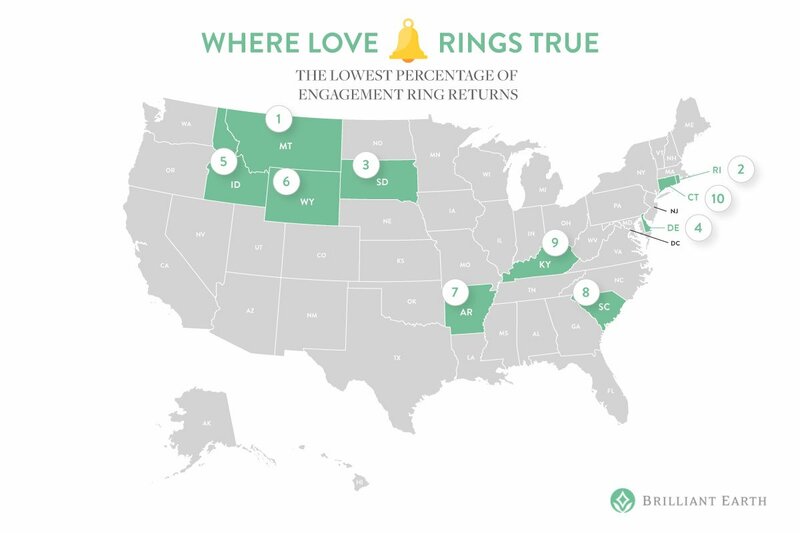 Wild Alaska was the state with the highest rate of engagement ring returns. So, what’s going on in this part of the country? This finding seemed especially noteworthy because Alaska is the coldest and one of the most isolated states. Could that play a role in preventing couples from making it to the altar? The flip side of the brokenhearted couples in Alaska? 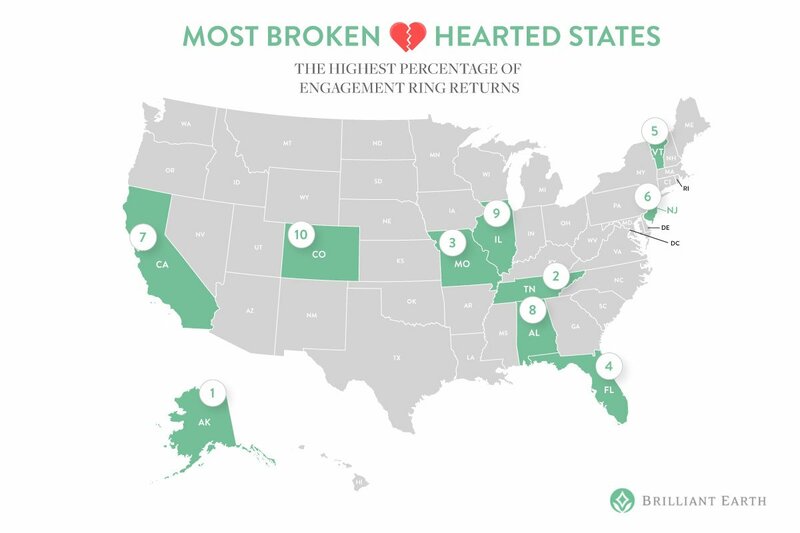 Those in Montana had the fewest ring returns. The second most “in love” state was Rhode Island. 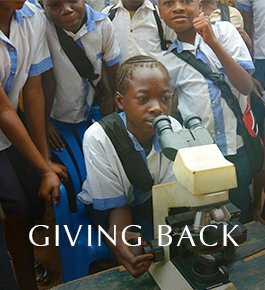 While we can’t make any assumptions about the underlying reason for the low return rate, we like to think it’s because loves rings true! 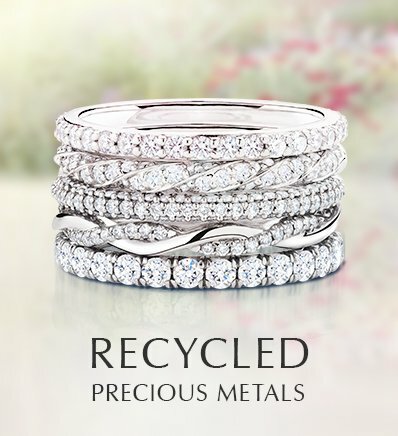 While natural diamonds are still the most popular selection, lab created diamonds are also increasing in popularity for their eco-friendly characteristics and equally stunning sparkle. 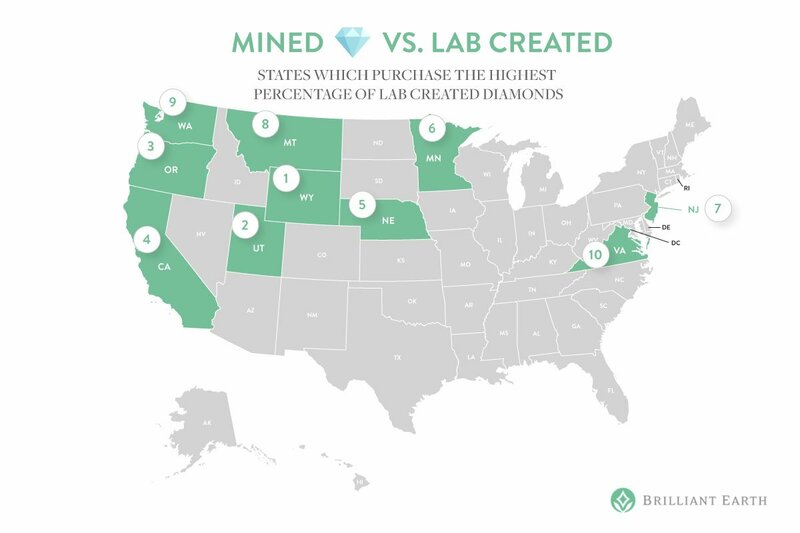 Consumers in Wyoming and Utah purchased the greatest percentage of lab created diamonds, and, in general, the western states showed a greater preference for lab created diamonds. While colored gemstones have been increasing in popularity among couples nationwide, certain states are more partial to different gemstones. Texans were most partial to rubies and Washingtonians preferred emeralds. 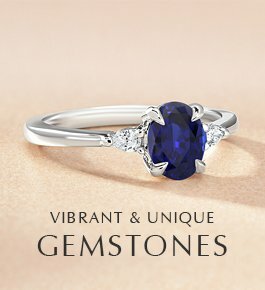 Sapphires, the second most popular gemstone after diamonds, were most popular in Alaska. 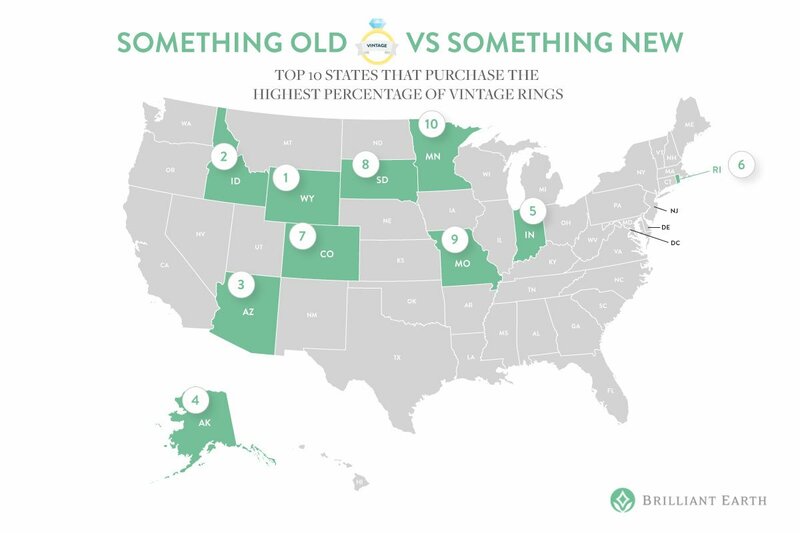 Vintage rings are most popular in Wyoming and Idaho. 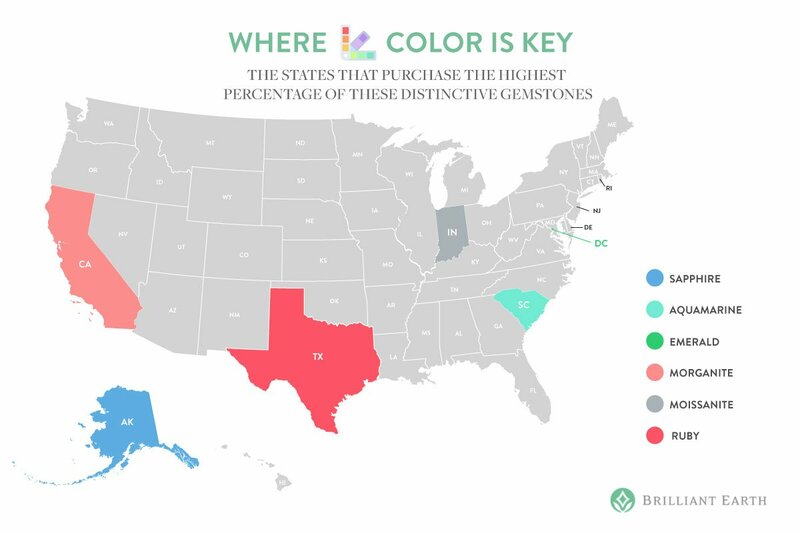 Looking over the map, we see a surprisingly strong preference for vintage jewelry across the Great Plains. When it comes to the cost of an engagement ring, every couple’s budget varies. 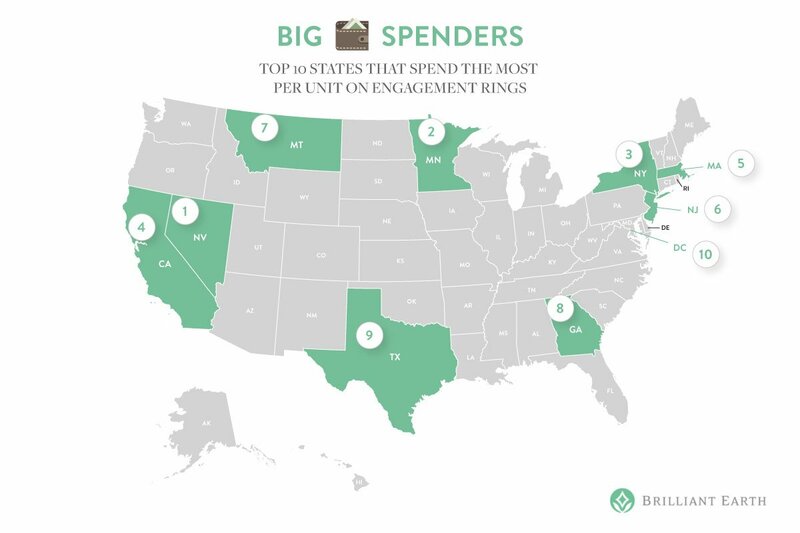 Interestingly, residents of Nevada purchased the most expensive engagement rings. Residents of California shell out for diamonds with the largest carat weight. 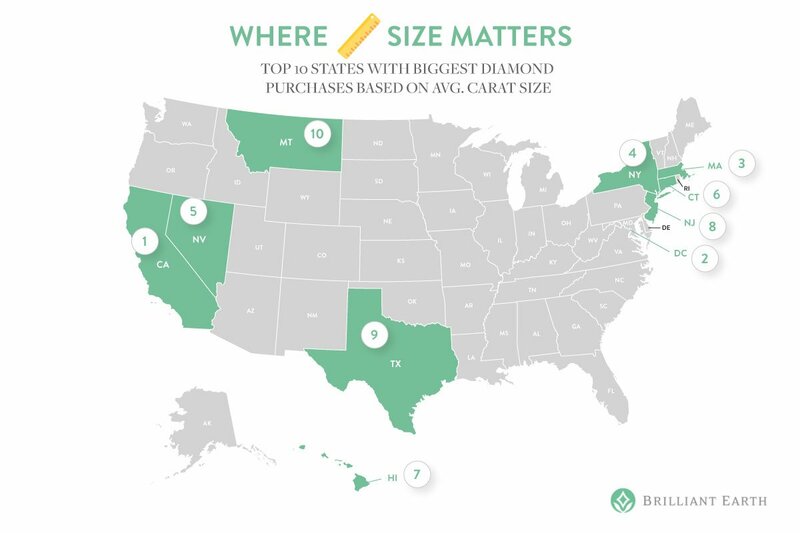 Clearly size matters to Californians when they’re purchasing jewelry. Who ranked #2 for carat size? Our nation’s capital, Washington, DC. Still looking for some engagement ring inspiration? Take a look at the rings Brilliant Earth couples have been falling in love with in our Recently Purchased Gallery. 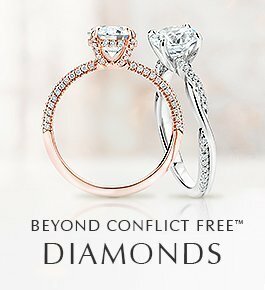 *These insights and graphics reflect a sampling of tens of thousands of engagement ring orders from June 2015-June 2016. “Washingtonians” are from Washington, not DC!